When it comes to copying content onto your own USB drives, we have the duplicators and printers that let you do the volume you need when you want. 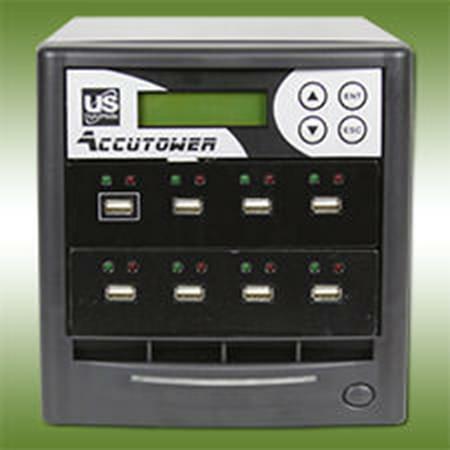 The Accutower Flash Duplicators and various printing equipment and supplies let you do the whole job in-house. Our top line of Accutower Flash Duplicator towers and SD Card Duplicators make quick and easy work of producing large quantity USBs in no time. Printers and print supplies are available as well as peripherals that let you print directly onto your USB drives in your office.